Revealing in-game intros seems to be the latest trend when it comes to prelaunch hype. 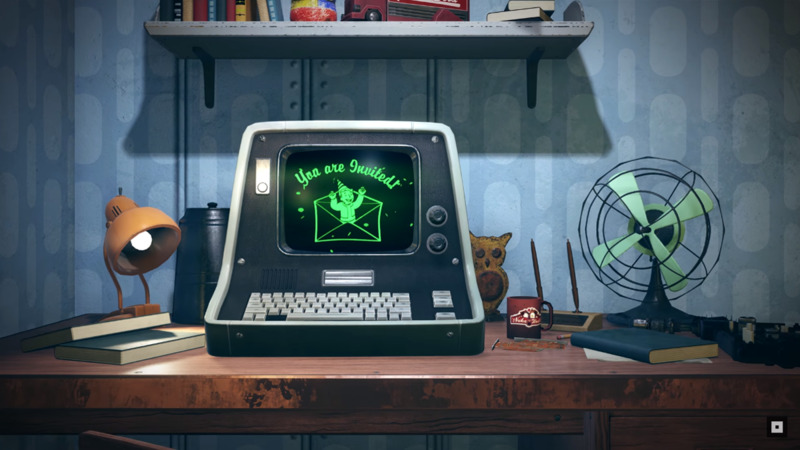 On that note, Bethesda just sent out the opening cinematic for Fallout 76, which features a television broadcast celebrating the completion of Vault 76 and emphasizing its necessity. Let’s watch the Fallout 76 introduction. The television broadcast argues that nuclear war, not to mention war in general, is in keeping with America’s foundation, stating: “In 1776, this great nation accepted that armed conflict was the only way to preserve our rights.” Hence, the name Vault 76 . It was completed on July 4, 2076, in celebration and preservation of the United States. We get a few more glimpses into the vault and its inhabitants before they venture out into Fallout 76‘s world. There’s fear and emotional weight to this moment, as two vault dwellers share an hug as the crowd begins to head towards the exit. This trailer gives us a window into what we’ll be loading up when Fallout 76 releases on November 14, 2018 for the PlayStation 4, PC, and Xbox One. While the B.E.T.A is available first on Xbox One (October 23), PlayStation 4 and PC owners can play it on October 30, 2018 provided that they’ve preordered the game. Stay tuned to hear more about what you can and can’t expect from Fallout 76.